School's almost out, and it's absolutely time to register for summer camp now if you haven't already. In many cases it's already too late, as camps fill up early. But TAC Sports summer camps in Toronto and the GTA, still have spaces available! This will be the 4th year, that all 5 of my kids have attended the camp. 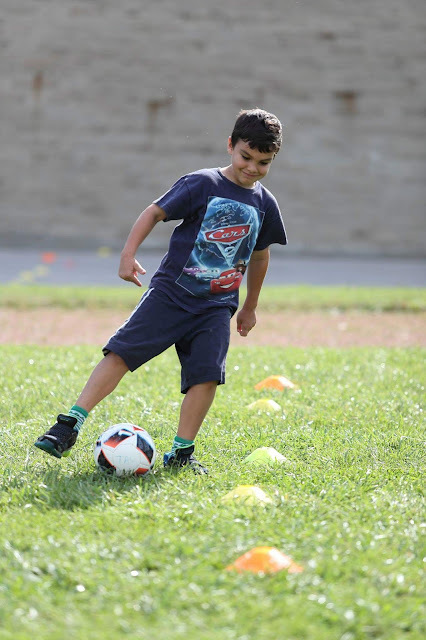 TAC Sports offers choices of a STEM camp (Lifetime Skills Academy - LSA), sports camp, swim camp & soccer academy camp. You get to pick which camp. I recommend TAC Sports camps, because kids learn new skills (or build on an existing one), revel in summer days outdoors if the weather is good (they do come inside if it rains), make new friends, and have a blast with their coaches. The best part for me is that the kids stay active, and steer clear from electronic devices. 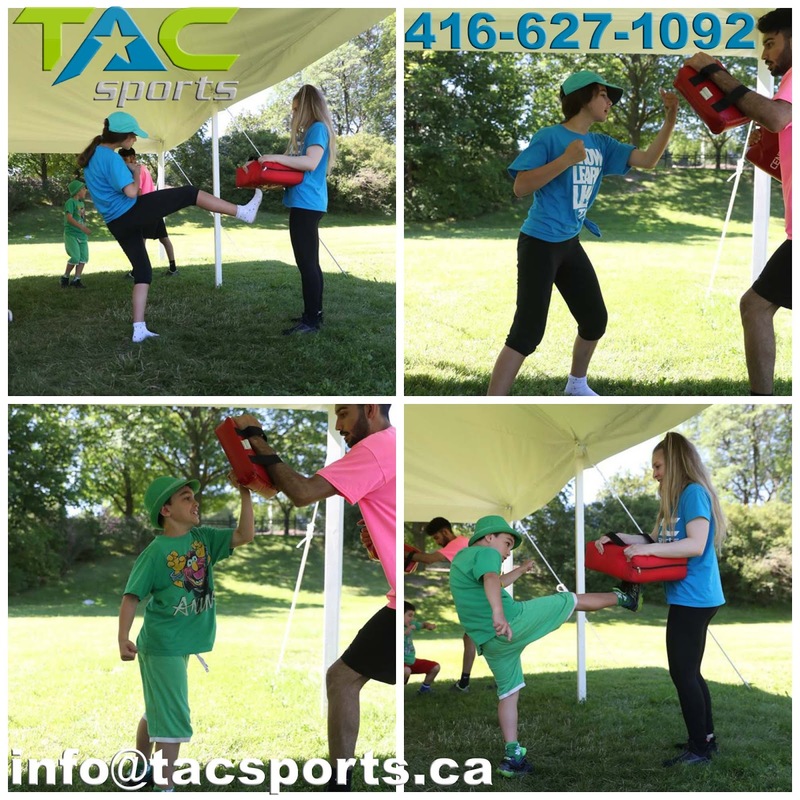 If you're new to TAC camps, you should know that the camp takes good care of kids and keeps them safe. My youngest child was 5-years old when he started attending, and he did great there! 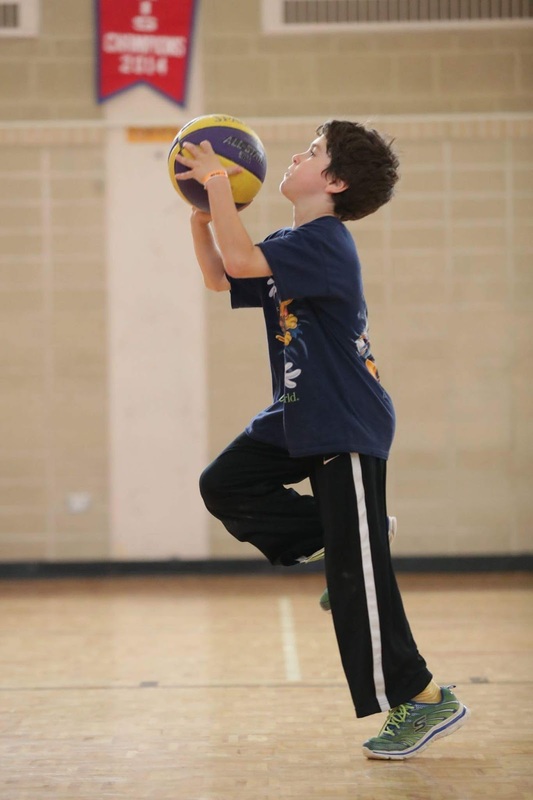 It was amazing to me how quickly my kids learned to play soccer, basketball, and tennis! My kids also learned mixed martial arts (MMA), and my daughter a few dance numbers. By the end of it, my kids looked healthy and had thinned out from the daily exercise. 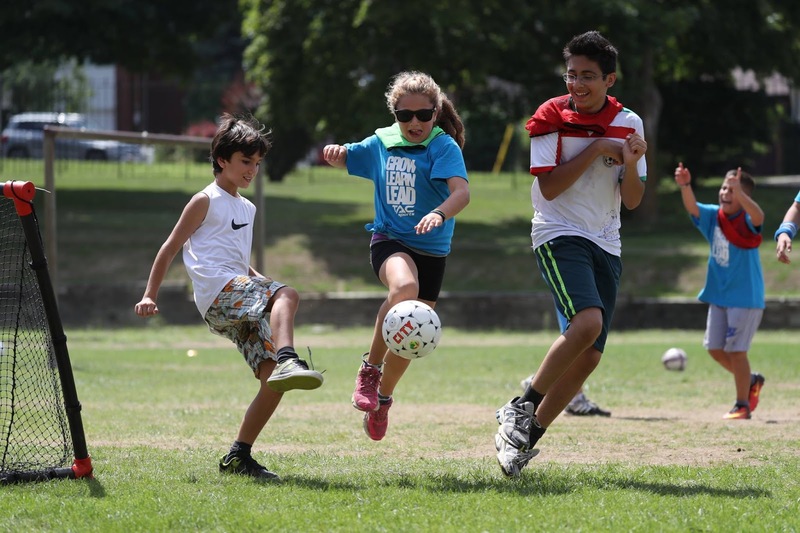 Along with their TAC Sports camp, TAC also offers Lifetime Skills Academy (LSA), TAC Swim School & TAC Soccer Academy (from TAC soccer training, my middle son went on to be recruited into Rep Soccer). More details of each programme are below. Register for TAC Sports Now! 1) Lifetime Skills Academy (LSA) - *Featured* Programmes include Lego Architect, Lego Robotics, Sharp Math, Software Coding, Cartooning Unleashed, Minecraft Modding, Financial Literacy & Leadership & Public Speaking. Visit their website for more details. 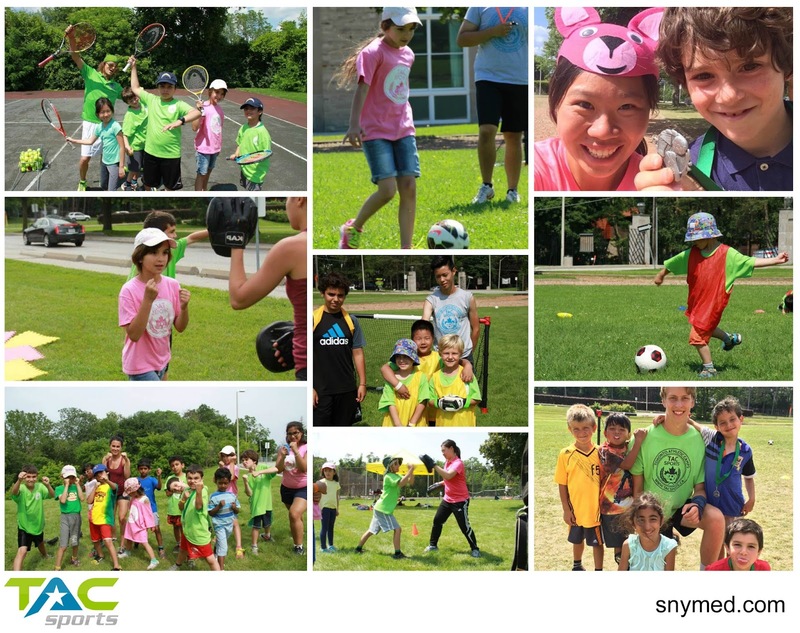 2) TAC Sports Camps - Lots of great sports to choose from (see list below)! Choose 2 sports per day (1 morning sport & 1 afternoon sport), or specialize in 1 sport all day long. Ages 4-12 years old. 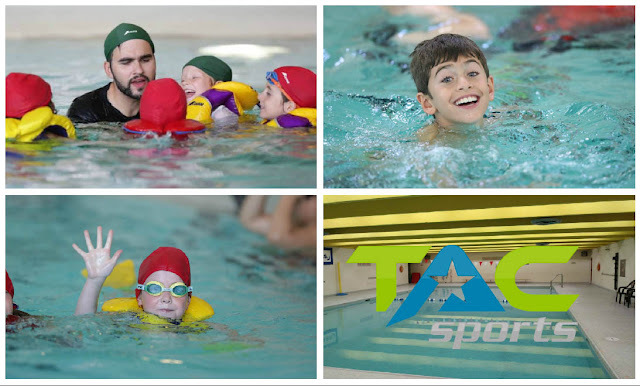 3)) TAC Swim School - Instructional swimming, in association with The Canadian Red Cross. 2 complete swimming lessons daily. Class ratio is 1 coach to 5 students. Mornings: Swim, Afternoons: Lego Robotics or Biking. Ages 6-12 years old. 4) TAC Soccer Academy - Teams: U7 - U12 boys & U8 - U9 girls. Contact TAC Sports for their try-out schedule. The main TAC camp is for boys and girls, ages 4-12 years old, or Leadership in Training programmes are for teens ages 13-16. 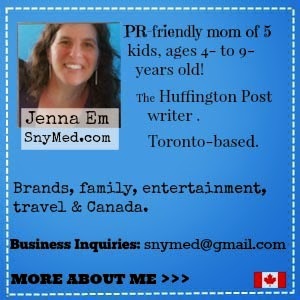 Their 8 summer locations include: Toronto (4 locations), Thornhill, Vaughan, Richmond Hill, & Markham. Yes, the camp offers before/after camp care and lunches (at an extra cost). If you're looking for a terrific summer day camp, I'd absolutely recommend you sign up your daughter or son for TAC camps! With all 5 of my kids in TAC camps for the past 4 years, I can make this recommendation with authority. REGISTER for TAC Camps HERE! PROMO CODE: SNYMED gets you $30 off! 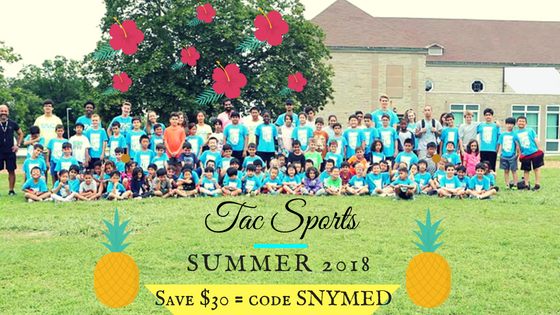 TAC Sports Camp Registration <--Use discount code SNYMED for $30 off!